Following the eight year rule of Idi Amin, then several years of war and civil war, the Ugandan economy was in ruins by the time peace was restored in 1986. Since then Uganda has consistently been one of the fastest growing economies in Africa, leading to a substantial reduction in poverty. Its economic success has attracted considerable attention and has arguably had more influence on development thinking and on the international aid architecture than any other country. The HIPC debt relief initiative, the Paris Declaration on Aid Effectiveness, and the growth of budget support have all been strongly influenced by Ugandan experience and thinking. Ugandan innovations such as poverty reduction strategies, public expenditure tracking surveys, and virtual poverty funds have been widely adopted elsewhere. Most of the reforms which transformed the economy originated within the Uganda government during the 1990s, rather than being imposed through donor conditionality. In this book, for the first time many of the architects of those reforms give their personal accounts of the thinking behind the reforms, how they were implemented, and their impact. Since measures that work well in one environment may fail when transplanted to a different environment, the authors identify factors that were critical to the success of Uganda's reforms. 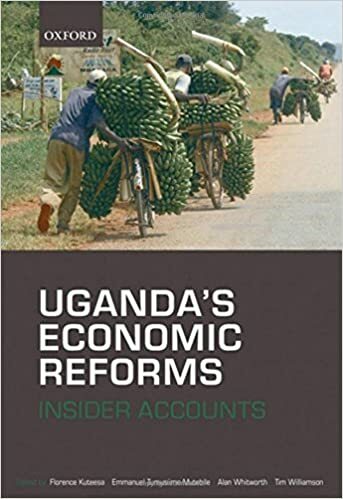 While a number of individual reforms have been the subject of academic study, this book represents the first consolidated account of the economic reforms undertaken by the Uganda government and their impact on growth and poverty reduction.